OUR MISSION STATEMENT..To provide our patients and the dental community with the finest endodontic care possible. We strive to perform all of our treatment with the highest professional standards. Patient comfort is our highest priority. We strive to seemlessly integrate root canal therapy with forthcoming restorative treatment. Dr. Steven Hill received his DMD degree from the university of Pennsylvania in 1978. He practiced dentistry in the United Staes Naval Reserve from 1978- 1981. He then received his certificate in Endodontics and Master of Science degree in 1983 from the Ohio State University College of Dentistry. 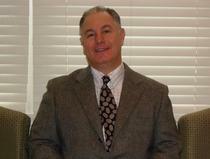 Dr. Hill opened his Endodontic practice in Commack, NY in 1983 and became partners with Dr. Edward Russo in 1988. He is an active member of Suffolk County Dental Society, New York State Dental Society, American Dental Association, American Association of Endodontics and various dental study clubs. 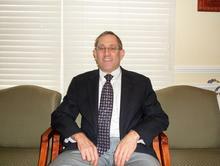 Dr. Edward Russo is a lifelong resident of New York and has been practicing in Commack for over 20 years. Dr. Russo received his DMD (1985) and his certificate in Endodontics (1987) from the University of Pennsylvania School of Dental Medicine. He is an active member of Suffolk County Dental Society, New York State Dental Society, American Dental Association, American Association of Endodontists and various study clubs.